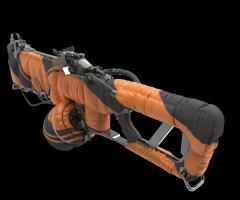 Fantasy cannon was created using modo (basic model) and 3d Coat for detailing and PBR texturing as an asset for UE. 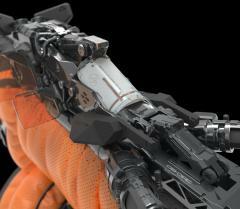 Weapon design for publicity. I used Blender for modeling and 3D-Coat for textures. Rendered in Cycles. This is my weapon concept for games. Modeled and retopoed in 3D-coat. I used xNormal to bake the normal maps. only 3Dc - Sculpt, retopology and final render.